Teachers, parents and music lovers understand the power of the rain stick. Kids and adults both love and benefit from the mystical and yet soothing sound. Pick one up and be amazed at the manner in which the soothing feel of the beads traveling down the rain stick calms the senses. A rain stick can both be felt and heard as the small items trickle through the maze of obstacles running along the insides of the rain stick. 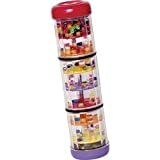 This stimulates young minds, grabs their attention and focus derailing many a tense moment. Babies love the sound of the soothing rain stick as well. A rain stick is a great addition to any home, class room or elder care environment. Picking up a rain stick can quickly derail any tense moment. A rain stick helps young hands to manage larger items. As the weight of the rain stick slightly shifts the child learns they control this shift making it either fast or slow. The control of the movement also changes the sounds of the rain stick. Young children develop hand eye coordination as they manipulate the rain stick controlling its speed and sound. Young toy makers have advanced the learning of the rain stick by creating the rainmaker. The rainmaker's clear outer tub allows for visual stimulation by revealing brightly colored pieces gently moving down the rain sticks chamber. This is a very good developmental learning toy for toddlers and preschoolers. The Chilean cactus rain stick has a traditional feel. It's a sturdy musical instrument standing up to the curious mind of an older child. This is a great item for any classroom, music class, home school or playroom. This rain stick also makes for a great center piece in any setting room as it spurs many stimulating conversations and interaction. The sound and fell is much different from the plastic rain stick. The Chilean rain stick is wrapped with twine dyed in a bright color combination at the end of the rain stick. This traditional style rain stick is made from the natural plant material of the capado cactus. It is colorfully decorated with woven fabric bands in various colors and styles tied to each stick. These rainsticks are always made with natural plant materials and for this reason will vary in size, shape and dimensions. The average size is around 20". This rain stick is great for young adults and adults alike as the traditional background adds a bit of historical and cultural curiosity. This great artistic expression of a rain stick appeals to the art lover in us all. The rain stick is made of bamboo with a natural texture adorned with beautiful painted art. It is a durable stick with a traditional design. 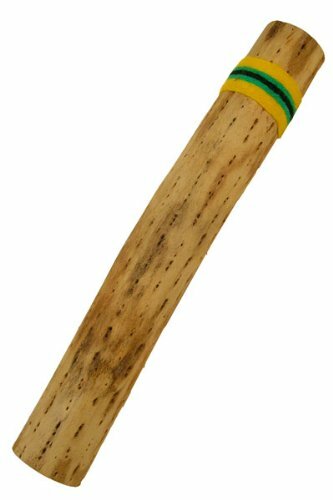 This magnificent instrument measures 24" in length and is a delightful rain stick as its sound is also beautiful, this coupled with its beautiful artistic flare makes it a quick favorite. The Toca rain stick creates the most familiar sounds resembling natural rain as it gently and rhythmically falls . 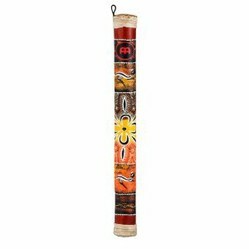 The Tocca rain stick is beautifully hand painted and offers two separate designs the Bali Ske and the Santa Fe. This delightful rain stick is lightweight and durable as it is made from synthetic shell. This feature makes this stick easy to handle and explore, good for children of all ages from the youngest to the oldest. These amazing rain sticks are a big hit anywhere plus elder care facilities, with its soothing sound everyone loves holding, feeling and exploring the sounds of this magical rain stick. Imagine the places such a magical item would come in very handy. wow thanks for a very interesting article.. I am sharing this on Facebook. I have never heard of these, but I think I'd like to have one. Angel, Great to hear from you and thanks for commenting. Very unique gift / toy for a child. I would have never thought of anything like this. Thanks for sharing what you know about rain sticks. Interesting.